Papaya also called as Papita is a very effective fruit to be tried for the beauty purpose. Do you know that papaya is also called as angel fruit? It posses so many health benefits and beauty benefits. I like using papaya for making some homemade recipes like papaya face packs, mask, hair packs, etc which can do a lot for my skin and hair. Here I will be sharing beauty tips with papaya that will take care of your skin problems like black spots on my face, oiliness, oily scalp and also it lighten the complexion of the skin very effectively. This is because of all these benefits of this fruit that I like to use for so many different homemade recipes. So, below are some homemade beauty tips using the papaya fruit and its juice. Make paste of papaya by mashing it with a spoon, then use this paste on the places where there are spots or apply on the entire face. Wash it after 20 minutes. This treatment should be tried 3 times in a week for good results with lightening the spots on your face. Baby soft skin is a dream for most of us. Papaya can do that also for us. Take papaya juice and make a paste with some curd. Apply this on the face and leave for 30 minutes. Then wash. 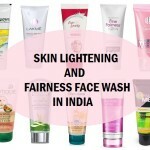 It will leave the skin softer and smoother. You can do this everyday not just to make your skin soft but also to get rid of the dullness and tan that we accumulate during the summer season. Mix rice flour with papaya juice and use this natural skin scrubber on your face. Rub slightly hard on the places you have blackheads or whiteheads. The blackheads will gets softer and then can be extracted very easily when to pinch them. But do not do that with the nails. For whiteheads, regular application will remove the whiteheads since whiteheads are under a layer of skin thus will need some time. You should also steam your face once in a week to remove the whiteheads effectively. Here are some beauty tips with papaya that will give you glowing skin. Apply papaya juice and wash after 20 minutes. See the healthy glow. Mix papaya paste with some banana paste and apply on the face. Wash after 30 minutes. It is good for dry skin. Take 1 teaspoonful of besan and mix papaya pulp. Spread this evenly on the face and wash after 30 minutes. This will glow quick glow on your face and also deep clean the facial skin. Here are some beauty tips with papaya juice or the fruit that will whiten the skin. Mix papaya juice with amla juice and apply on the face. Wash this from the face after 20 minutes. 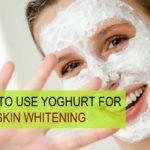 Do this every other day and it will induce the skin whitening. Mash a thin slice of papaya to get pulp. In that add orange peel powder. Apply on the face and neck. Then wash after 30 minutes with gentle scrubbing the face. This will give smooth face by taking off dull skin layer. Mix papaya pulp around 4 teaspoonfuls with 3 teaspoonful of lemon juice. Dilute with some water if you like to make it easy to spreads on the scalp and hair. 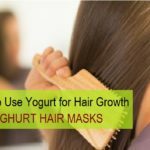 Apply on the scalp, hair strands and hair ends. Leave for 40 minutes. Wash with water. This is excellent to get shinier hair. Oily scalp can e problematic as it makes the hair cling to each other and appear thin and limpy. This papaya hair pack will help with the oily scalp and oily hair. Take 5 teaspoonful of papaya paste or half cup of papaya paste. Add half cup of gram flour (besan) and some milk into it. Use this pack on the scalp and your hair. Wait for 30 minutes then wash with water. Take half cup of sugar and add 2 small slices of papaya in it. Mash the slices with the hands and keep mashing it to get a paste. Take this papaya body scrub in the shower and use on the body areas like hands, legs, back, neck etc. Scrub in circular motions and massage the skin. Then leave this on the body for at least 15 minutes. Then complete the shower. This will also lighten the marks on the body and takes off dull dead skin layer. Your skin will become velvety and beautiful. So, these were the beauty tips using papaya that you can try and get beautiful head to toe. This article is one of the best article to me.This tips is very useful thank ou so much.